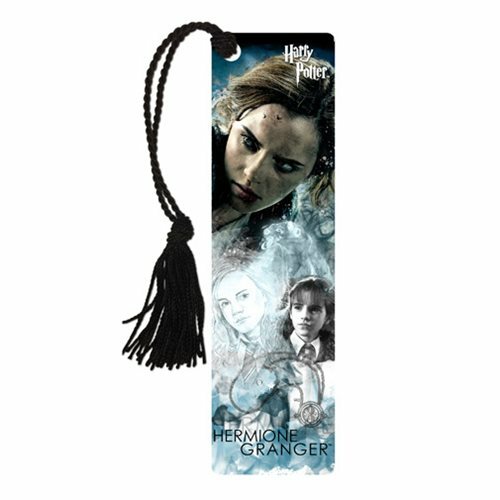 Use this Harry Potter Hermione Bookmark to keep your place in J.K. Rowling's fantastic Harry Potter series. It features gorgeous images and Hermione Granger's name. Measuring 7-inches tall x 2-inches wide, the double-sided bookmark comes with a classic-style tassel! Ages 13 and up.